Number The Stars Research Papers look at a book by Lois Lowry about the life of a young girl living in Denmark during World War II. 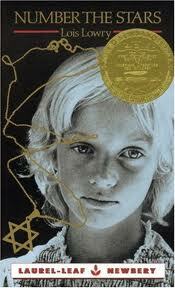 Lois Lowry’s Number The Stars is a story about a young girl living in Denmark during World War II. The story takes place in 1943. Three years earlier, the German Army invaded Denmark and took over the entire country. Suddenly, the Germans decide to round up all the Jewish people in Denmark. Annemarie Johansen’s best friend, Ellen Rosen, is Jewish and the Johansens take her in while her parents hide. During World War II, Adolf Hitler and the Nazi leaders decided to kill all of the Jewish people, putting them in concentration camps and killing them. Annemarie and Ellen go to visit Annemarie’s Uncle Henrik, a fisherman who lives along the coast. From Uncle Henrik’s house, one can see Sweden, a country that the Germans did not invade. Uncle Henrik, along with Peter Nielsen, smuggle Jewish people in Uncle Henrik’s boat across to Sweden, where they will be safe. Peter Nielsen is a member of the Danish Resistance. They bring Jewish families to fishermen like Uncle Henrik, who then take them to Sweden. The Resistance even invented a drug that made the German dogs unable to smell the hidden people. She is trustworthy because she can keep very big secrets, such as the fact that Ellen is not really her sister, and can take the handkerchief to Uncle Henrik. She is eager because she wants to help. When her mother breaks her ankle, Annemarie promises that she will help. Whe is resourceful because she can lie to the German soldiers. This is a time when lying was okay, because the Germans were bad people to have invaded Denmark and wanting to kill the Jewish people. In order to write this book, Lois Lowry must have had to study the events of World War II, especially what happened in Denmark. She probably traveled to Copenhagen in order to know what the city looked like and where the coast was close to Denmark. She also must have talked to people who lived there during World War II, people who remembered what it was like to have German soldiers and no sugar. Finally, she needed a good imagination so that she could tell this true story from the eyes of a little girl. Adolf Hitler and the Jews research papers explain why Hitler's hatred was always targeted toward the Jews. Nazi Germany research papers show that it took the Great Depression — which hit Germany harder than any other nation — to turn Nazism into a true mass movement. Rise of the Nazi Party research papers discuss the events leading up to and during the rise of the Nazi Party. Paper Masters writes custom research papers on Number The Stars Research Papers look at a book by Lois Lowry about the life of a young girl living in Denmark during World War II.